My mind and soul both were craving for some kind of adventure and I was also sick and tired of slogging at work. Actually, I was looking for agn opportunity to unleash my Beast on the road and it came at the right time. This is about a trip that Netra (my wife) & I cruised along the gorgeous locations of Karnataka (Halagur – Malavalli – Doddamakali) searching for Mahseer. It was just ’awesome’. That’s the only word comes to my mind when I think about it. This write-up is all about three entities - we two and BISON (the Bullet). Meandering through the woody landscape amidst the forests of Karnataka is the Cauvery the most majestic and sacred river of South India. The river offers both adventure and opportunity for nature lovers. Nestled along this mighty river is the Doddamakali Fishing Camp, world-renowned as home to the great ‘Mahseer’ - the finest & the largest tropical sporting fish known to man. Tucked away from the milling crowds, yet close enough for you to reach, this camp offers a slice of nature that is entirely unique, one in which you can totally feel free! JLR has exclusive rights to vast stretches of the Cauvery. Four different kinds of Mahseer (Large Headed) fish are found in these waters Silver, Gold, black and Pink. However, in light of decreasing sizes and numbers of good specimens, ’Catch-and-Release’ has become a necessary practice. Other fish often found are carp, catfish and many small ones useful as bait. 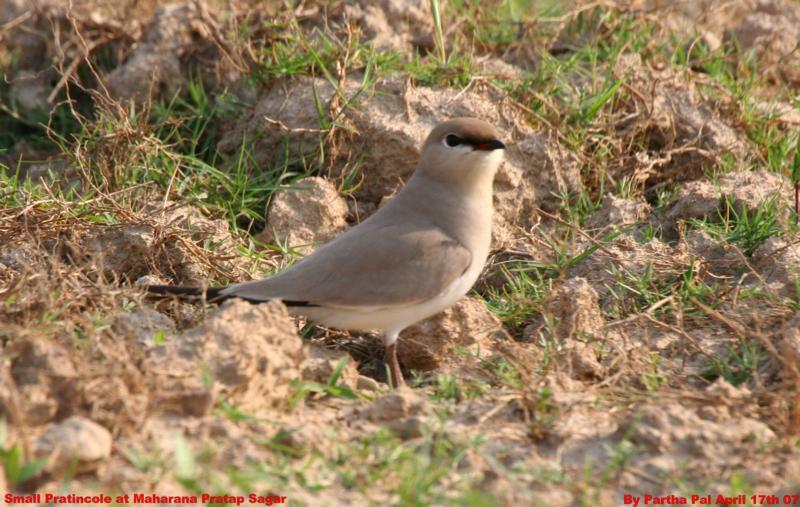 Over 200 species of birds have been identified around the camp. 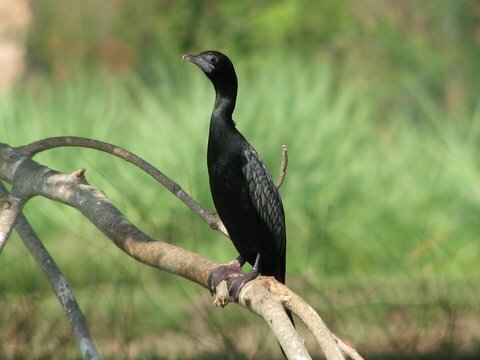 Among the water-based birds, you can spot the grey-headed fishing eagle, spot billed duck, small pied kingfisher, black-bellied river tern, osprey, and many more. 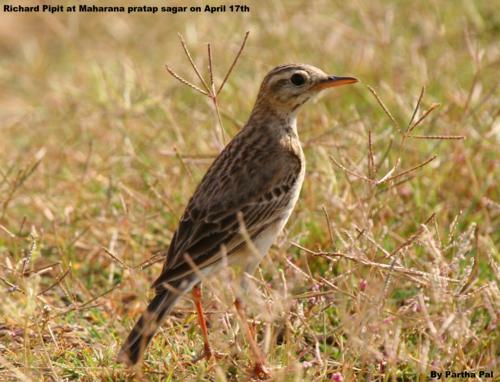 There are also a number of rare land-based birds such as the honey buzzard, tawny eagle, pied crested cuckoo, etc. Our cruise was quiet smooth till Mandya through the four-lane highway. After that the roads were little bit rough & uneven. After doing some left, right turn and riding on smooth road, Netra & I reached the old tarred road and then kacchi sadak.. the way to Doddamakali.. 8 km stretch which took us around 45 mins-1 hr. It was very interesting journey on that road both times. We were finally at camp at 11:40am, but via a slope hugging zigzag path with no soul around. After reaching there we were welcomed with a glass of lemon juice. It was like "amrut jal" or may be "tirthanm" after 3 hrs ride. I couldn’t resist jumping in to the river even after reading about crocs & whirlpools in the stream; swam for an hour and then lunch around 1:30. After lunch we were at river side & I fixed my fishing rod to ankle the Mahseer; a legendary fighting fish which can grow to over 100lb in weight. These fish are famous for being able to strip a reel bare of 40lb line on the first run and can easily swim upstream, against rapids, at over 20 knots. Netra was resting on hammock & fell asleep. Putting her to sleep, I swiftly changed into my fishing gear and taking my trusty spinning tackle, called forth with determination. After I had worked out the kinks from my casting arm, I was rewarded by a Silver Mahseer, who seized my large spinner with a vengeance as soon as it struck the water. In no time the reel was singing, my arm was straining against the pull from the Mahseer, who was whizzing downstream looking for refuge in the rapid and rocks. This gave me time to overcome the initial shock of hooking a big one, and also a respite to my pounding heart. I now concentrated on landing this monster. The usual tricks of playing and tiring the fish were applied with great care and eventually I landed my first 1 pound Silver Mahaseer which is the smallest anyone could catch, after about an hour of sheer grit and pleasure. We were there till the tea & planned to climb up the roads around 5:00pm, except for my BISON no vehicle can reach out there. On the way back we spotted couple of spotted deers, wild fowls, and mongoose. By the time we reached Halagur, it was past 6 pm. Since we were on a day tour (no accomodation available for the night) we had to return to Bangalore. We had spent only about 8 hours at the camp but it was an extremely satisfying and relaxing trip. My mind was away from all the worries of every day life and was raring to go back to work full blast. The CO2 levels are going up by 2ppm per year, with Delhi adding 963 new cars daily to the city’s fleet. To ensure that the temperature does not go up by more than two degrees by the turn of the century, we have to ensure that CO2 levels stay below 450 ppm. Vehicular traffic is the single largest contributor of CO2 in the atmosphere. Even the trees lining the road cannot help unless we reduce the number of vehicles. It has been long time since we both (Kirti and myself) took a break from Delhi on religious reasons . As some of you are aware we had been blessed by a daughter some five months back – we undertook a visit to Chintpurni, Chamunda, Kangra Devi and Jwala ji along with Vanya (our daughter). We reached Chintpurni on 14th evening. Next morning I woke up very early more due to people’s voice walking in the street – All eager to do a darshan early morning being Basaikhi weekend .Not expecting any bird life in that cacophony of people ,Radio, Stereo and of course Mandir mike – I moved out of the Dharamshala with heavy feet and heart with my Binoculars hanging on my neck . Just 200 mtrs from the Dharamshala, I hit upon a dirt road, which took me to semi jungle kind of a habitat, which lifted my spirit. There was a sudden expectancy in the air . Nearly 15 pairs of Asian paradise flycatcher with their long white tail fleeting around with few just couple of meters away. A pair of Blue rock thrush, Flocks of Plum headed Parakeet and Common Rose finches, Ten odd golden orioles and quite a few more species were sighted within span of hour. Only regret being I didn’t listen to Kirti’s advice of carrying the camera for the walk. 16th afternoon we reached Paragpur our destination for next two days. We stayed in a resort called “Judge’s Court” basically a Pre independence Haveli turned into Welcome heritage resort . As expected luxury at its best mixed with old royal eloquence. Paradise flycatcher once again was the highlight of the little birding I did around the property, not to miss the Grey Hornbill’s fight for nest with the Rose ringed parakeet who ultimately lost all the three juveniles to aggressive Hornbill, omnipresent brown headed, Blue throated barbet, tiptoeing Grey wagtail, various warblers, various Myna & starlings, huge flocks of Common Rose finches etc. 17th was again an out and out religious day with three of us visiting the balance temples as mentioned above. Except an odd sighting of Egyptian vulture and Himalayan Griffon at Kangra fort area, no birding. Down with a severe headache due to excessive heat, I didn’t have the strength to do any birding that day , though we reached the hotel by 5pm. 18th morning was the D day marked for my morning birding at Maharana Pratap Sagar wetland which is 20 odd kms from the hotel. Armed with my camera and binoculars ably supported by driver Daler Singh we reached the destination early morning. Initial scanning of the area was very disappointing though villagers informed us in advance that all migratory ducks have flown back. I was awe struck by the huge water body. Initial disappointment gave away to some relief when I saw a Little Ringed plover feeding at the edge of the water. Gradually one after the other species came tumbling out as if they were hidden in some closet – only favouring the brave who can fight the ever rising temperature which was getting unbearable with every minute, though cold draft from the Sagar did help me to stay there for nearly two hours . Whether it was terns, wagtails, larks, pipits, Blue tailed Beeaters, Bar headed geese, First winter Palas Gull, Eurasion wigeon, Small pratincole, Lapwings and of course my only two lifer of the trip Richard Pipit and Eurasian Skylark, I enjoyed every bit of the two hour of birding. "Developing world can leapfrog to a new energy future-from no fuel to the most advanced fuel. The biofuel can come from non-edible tree crops-jatropha in India, for example-grown on wasteland, which will also employ people. This fuel market will demand a different business model. It cannot be conducted on the basis of the so-called free market model, which is based on economies of scale and, therefore, demands consolidation and leads to uncompetitive practices. In today’s model, a company will grow the crops, extract the oil, transport it first to refineries and then back to consumers. The new generation biofuel business needs a model of distributed growth in which we have millions of growers and millions of distributors and millions of users. Remember, climate change is not a technological fix but a political challenge. Biofuel is part of a new future." A regional climate change study is being done on the Godavari (Andhra Pradesh) basin by IIT Delhi and UK based scientists. The Godavari basin extends over three million sq.km and is nearly 10 % of the total area of India. Because of its size, it provides a diversity of eco systems that will enable scientists to carefully choose sites to study interlinked water dependent eco systems like forests, wetlands and cropping systems. The River Kaveri, which takes it’s birth high up in the Western Ghats, flows down Karnataka state feeding the parched lands and turning them into bountiful yielders of precious food and then meanders through the valleys of Tamil Nadu blessing them with her bountiful precious water for their land, finally merging with the Bay of Bengal. As the river flows through Karnataka over undulating terrain, plenty of small cataracts and some very impressive waterfalls are formed. This river is reverently called the Life-Line of Karnataka. As the river meanders through the terrain plenty of small islands are formed all the way along it’s course. These islands are a host to plenty of Flora and Fauna all evolving with nature and thriving. 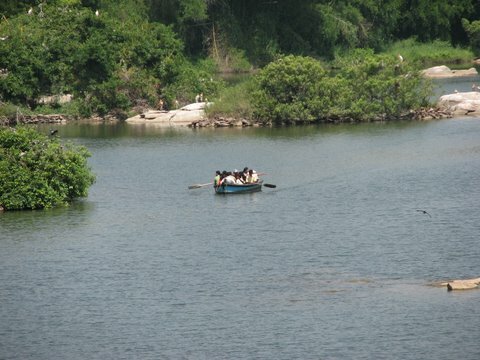 One such spot in the river’s course, close to Mysore-about 12 kilometers, is the Naturally formed group of islands filled with Pandanus plants, Pongamia trees, Mahua trees and a score of other plants playing host to many breeding birds. The banks of the river are filled with Bamboo and other tall majestic trees. 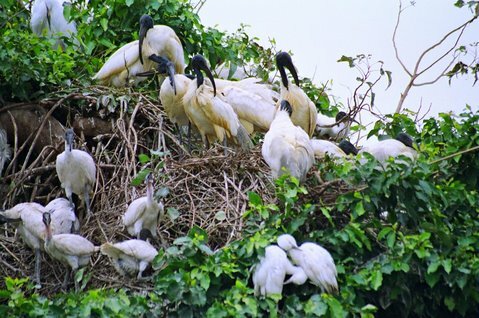 This is The Ranganathittu Bird Sanctuary, where regular nesting birds come to nest and raise their young. The river being filled with a lot of boulders also plays host to the Marsh Crocodiles and the waters are filled with fish. A pristine home for breeding birds. The bamboo and other trees also provide a good habitat for most of the birds of Karnataka. The main season for the migratory breeding birds is from Aug to Sept. and for the other breeding birds it is Dec to March. The islands are a very safe Haven for these nesting birds tucked away inside the deep waters of the river and safe from any land predators. The water being infested with Marsh crocodiles even human interference and vandalism is kept at bay, thanks to the Marsh crocodiles. 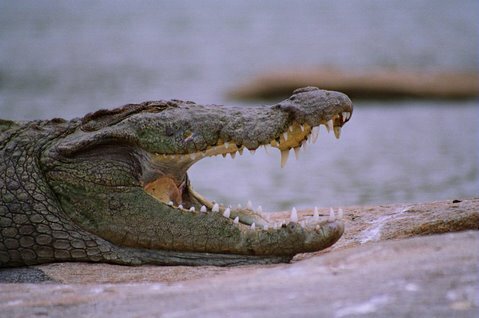 In one of the islands even the crocodiles build their nests and breed. One can always find the crocodiles basking on the rocks. An ideal location for the birds. 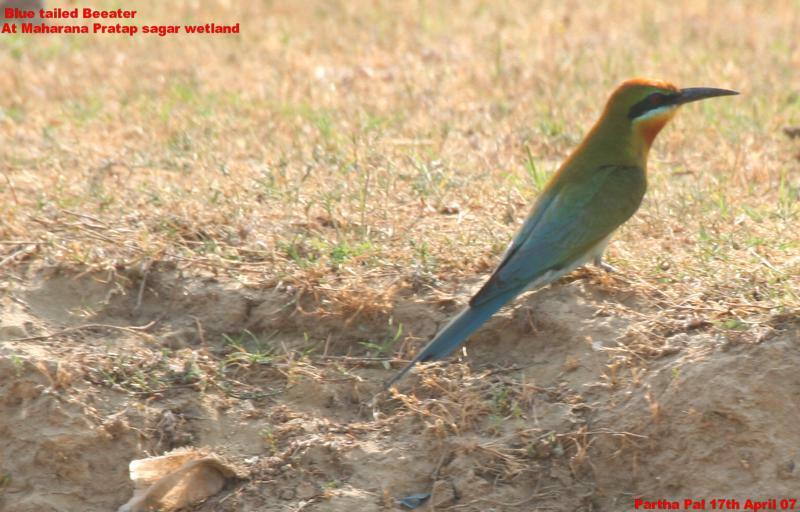 The river surroundings are all fertile paddy fields, which provide a good source of Crustaceans and other aquatic life as forage for the parenting birds. The Forest Dept. of Karnataka regulates the visitors to this place and unauthorized entry is prohibited. The serious visitors are taken around these breeding islands by row-boats to have a glimpse of these birds and their young. Even motor boats are not used to keep noise pollution away. Visitor facilities are excellent and good view locations are also provided. There are rest-rooms, a small refreshment canteen a little away from the riverside is also provided. Overnight staying is not possible and also not encouraged by the Forest Dept. 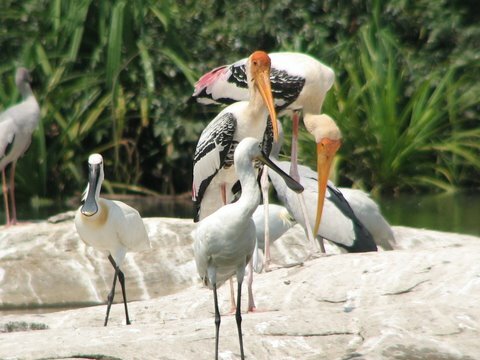 In all, Ranganathittu Bird Sanctuary is a Haven for Nature Photographers, Ornithologists, and a beautiful place to visit. It is really reassuring to see such a Naturally evolved place still maintained in its Pristine condition. Any Nature Lover will enjoy the visit and would always love to come back often. 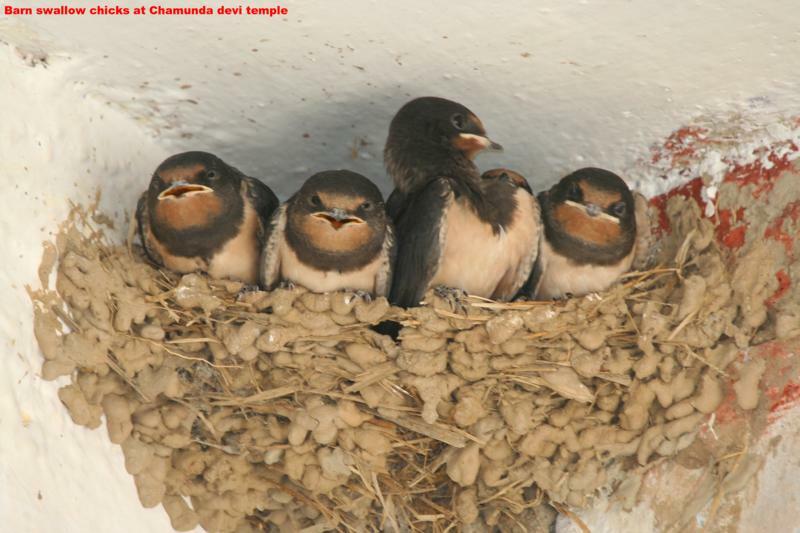 A List of nesting birds is also displayed with all their details and with appeals to conserve them. The Regular Birds: Open billed Storks, Painted storks, Spoonbills, White Ibis, Pond Heron, Little Heron, Plumed Heron, Night Heron, Darters, Little Cormorant, River Terns, Plovers, Red-wattled lapwing, Peacock, Black Ibis, Kingfishers and the River Otters which are a source of amusement as they dive in and out of sight of the visitors. Wildlife Asia Film Festival took place in March 2007 in Singapore. "Cherub of the Mist" by Bedi Films (India)won the "Best Asian Film " award. "Village of Dust, City of Water" by Moving Images(India) won the award for the Best Environmental Film. Naresh Bedi and Mike Pandey were given special awards for contribution to film making. The following films/programs were selected for screening at the festival. Slow Lorises need your help! The 14th Conference of Parties to CITES (Convention on International Trade in Endangered Fauna and Flora) takes place in The Netherlands next month. Up for consideration is Cambodia’s petition to transfer this noctural Asian primate to Appendix I. This would mean the animal is considered threatened with extinction and CITES would prohibit international trade except, for instance, for scientific research.